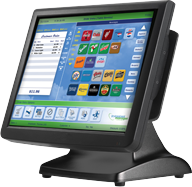 For more than twenty years, we’ve helped restaurants in Minnesota increase productivity and build their bottom line with the best in hospitality POS software. We provide unparalleled service and support to restauranteurs in the northern Minnesota area. Our knowledge and tools will help you grow your business while keeping happy customers, and staff. The technology and hospitality industry specialists at Hospitality Solutions are seasoned in restaurant point-of-sale software, reporting and setup; computer and networking diagnostics; networking and internet security; and DVR and video monitoring and security systems. Hospitality Solutions is dedicated to ensuring every client is well served. From evaluating your current infrastructure and technology needs, to implementation and maintenance of a customized solution, we are working with you every step of the way. We’re always a phone call away, whenever you need us. "Whenever there is a problem, Tom is always available to help us through it. He helped train the staff and stops in all the time to see how we were doing. He is very easy to reach at any time and returns calls very quickly."